It's super late so I have time for one more QUICKY. With so much STUNNING album artwork out there, I just had to post some of my favorites. 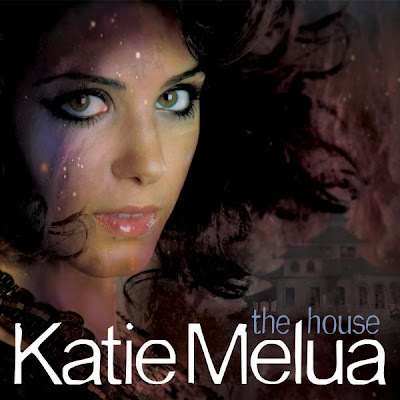 Oh and speaking of beautiful album artwork, DEFINITELY check out my last post on Ms. Katie Melua as well as my posts on Sarah McLachlan, Jewel and Cyndi Lauper - all of whom have new albums/singles coming out with some beautiful artwork. The artwork for this new album/single are beyond gorgeous. Thanks to Coverlandia and MuuMuse for the artwork. Oh - I should also mention that release dates listed below are mostly for UK. Check out the video for Sia's new single, "Clap Your Hands." How fun is this? Such a creative, cooky artist. I absolutely ADORE her. Check out fun remixes by Fred Falke and Diplo. Thanks to Bradley over on MuuMuse for posting this. I love this artwork. I love Robyn even more. Body Talk Part I is one of my most hotly anticipated summer records. Robyn's released three songs on iTunes to tie us over. Check out "Fembot," "Dancehall Queen" and "None of Dem" on iTunes (in the U.S.). 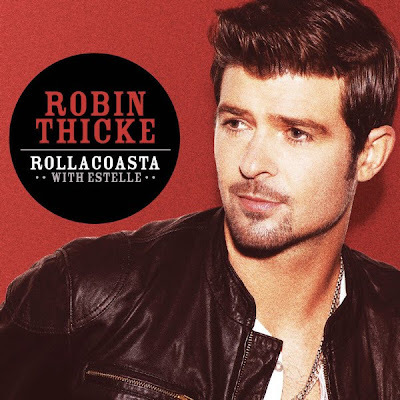 While the artwork might not be anything special, there's a big honkin' photo of Robin Thicke. Enough said? Oh...and R&B superstar Estelle makes an appearance. Check out the video. I am loving this song more and more. Macy Gray is back and better than ever! 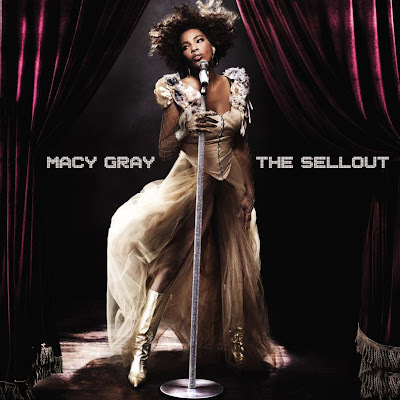 In looking through my CD collection, I have more Macy Gray CDs then I remember purchasing. As quirky as she is, she's talented. I am very excited about the new record and while "Beauty In The World", the first single off of The Sellout is still growing on me, the Cutmore remix of the track already has me sold. I already blogged about the stunning music video for the new Kelis single, "Acapella" and now we have the official album artwork. It's a little bit gaudy for my tastes but I still kind of love it. I cannot WAIT for this album. I haven't been this excited about a Kelis album since Tasty. Lookout for the Kelis-assisted Benny Benassi collaboration, "Spaceship," the video for which has already been shot. While this artwork is CUTE, it's not really blog-worthy by itself. 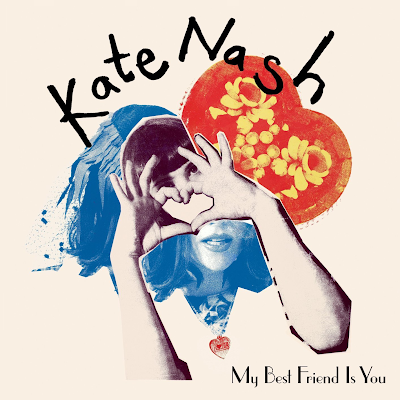 I just wanted to include it b/c I'm going to see Kate Nash live next week at Great Scott in Allston, MA (outside of Boston). Small, intimate gig - the same place I saw V.V. Brown actually (WHICH I still need to post about - oops!). I'm beyond excited. The new album came out this week and I am still warming up to it. There's so much to love about her first album, but I'm sure that in time I'll love the new one as well. If the streaming concert I listened to today (live from Cologne) is any indication, her live set is going to be AWESOME! Check out the video for her new single "Do-Wah-Doo." 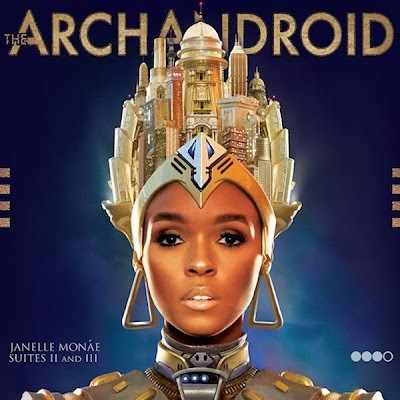 Janelle Monáe is a talented young lady. I remember when her first EP came out a while back with the song "Many Moons" - I loved her look and voice and now...FINALLY she's back with a full length album (due out May 17th in the UK and the following day in the U.S.). 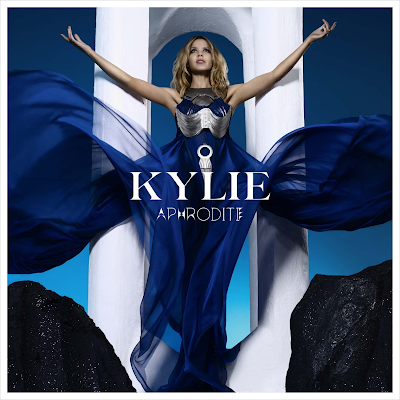 This is going to be a hot album...which by the way is sort of reminiscent of Kelis' new artwork. It's also channeling the movie poster for 20s silent film Metropolis. Very cool. Watch the video for new single feat. Big Boi (of OutKast fame) called "Tightrope." Former X-Factor contestant Diana Vickers' debut album drops on May 3rd and features lead single "Once" (which has glorious remixes from Manhattan Clique). Having heard part of a leaked album sampler, I'm very excited for Songs From The Tainted Cherry Tree. Vickers is a talent, and while her sound is similar to that of Little Boots and Ellie Goulding, I think her talent stands on it's own. I'm interested to see what the finished product sounds like. Check out the video to her single "Once." Yikes. I know I'm late with posting about this but who cares! This video should be posted OVER and OVER again. 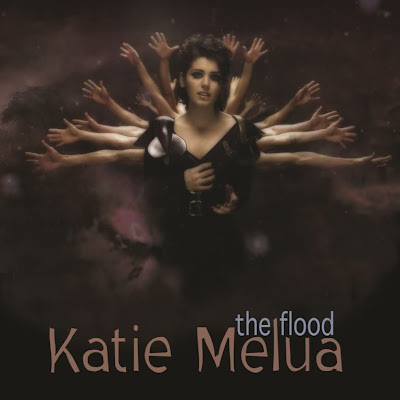 It's called "The Flood" and it's Katie Melua's upcoming new single (released May 17th) off of her fourth album, The House, due out May 24th in the UK and August 3rd in the U.S. It's visually stunning, just as the song is sonically stunning. Half naked dancing men, Katie in a stunning black contour dress...a mechanical bull-like piano...there's just so much to look at! This song gives us a taste of what we can expect from Melua's William Orbit-produced new album. I for one am salivating in anticipation. Eew. There's a puddle.